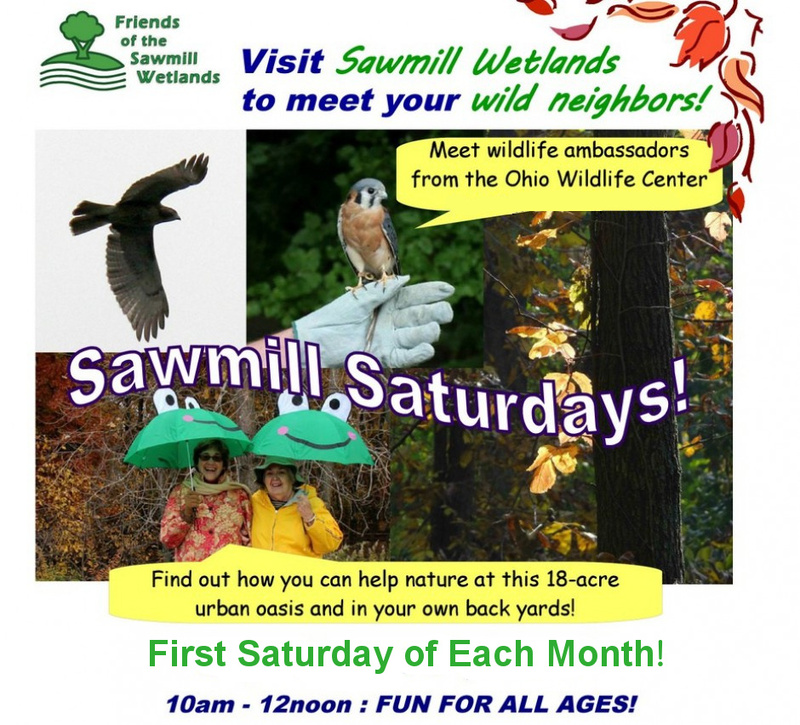 Relax in the beautiful woodland on Aug 3rd and meet animal ambassadors from Ohio Wildlife Center. 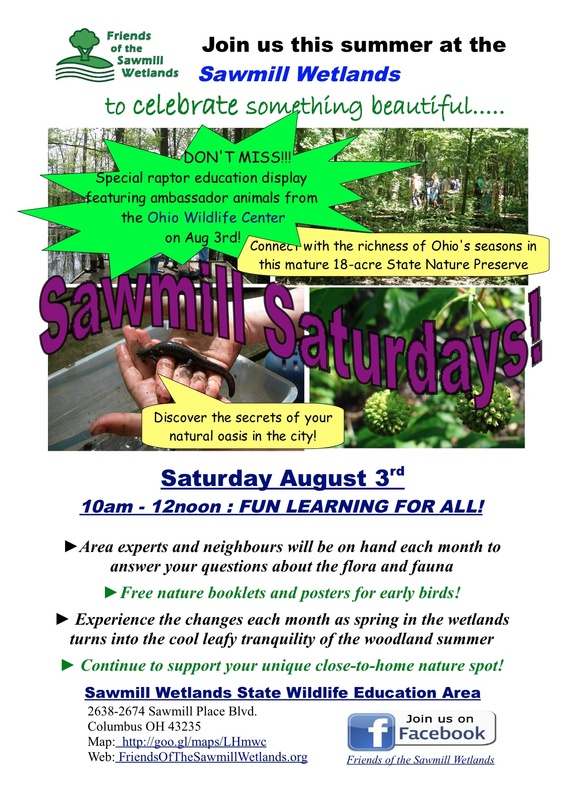 Including a very special Red-tailed Hawk and his friend Darlene Sillick who is not only a fascinating wildlife educator she also has a history with Sawmill Wetlands Wildlife Education Area going back more than a decade! We are also very fortunate to be joined by nature education volunteers from Columbus Wild Ones and National Wildlife Federation. You don’t want to miss this! please tell your friends and family!! ← A woodland awaits on Saturday July 13th! !